According to the Minnesota Bride, lemon, lime, and deep hues of purple are the coming attaction for this years wedding theme colors. 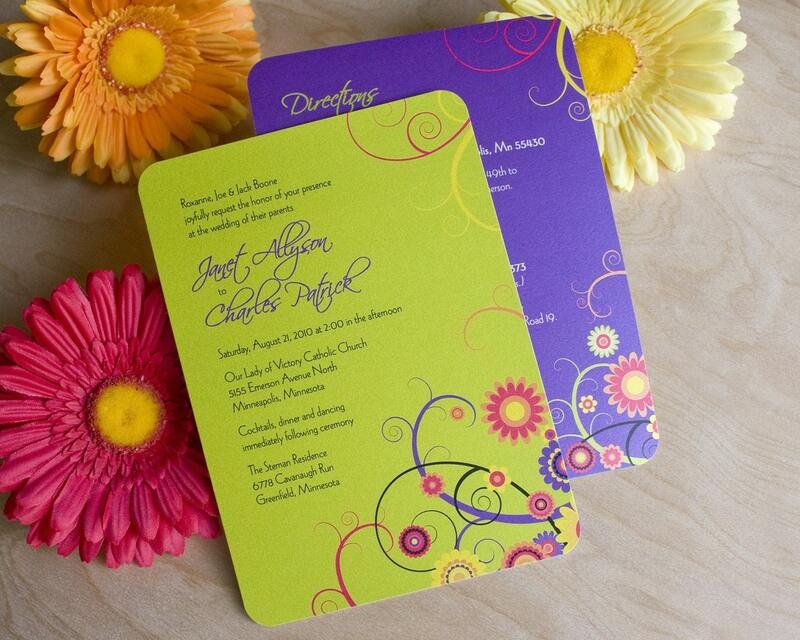 Like these wedding invitations by Apple Barrel Ink. 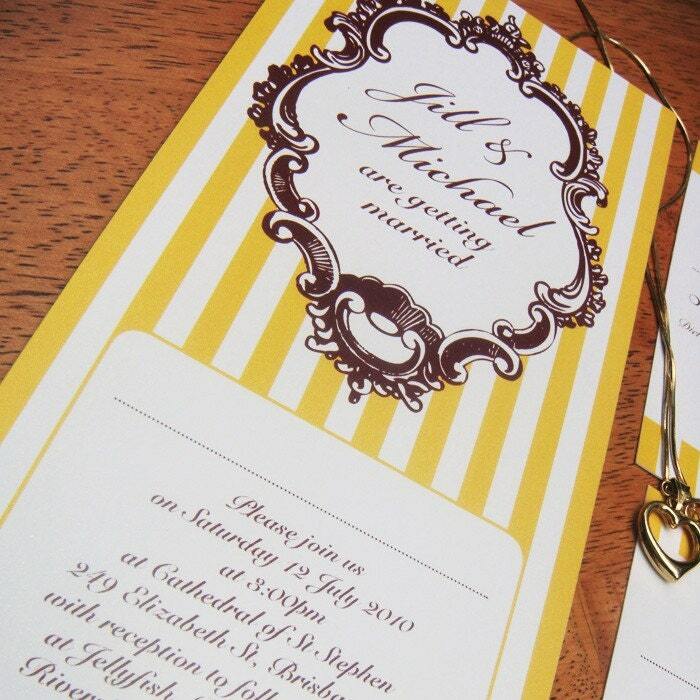 This elegant stripe wedding invitation is classic by Eltee Creative. Fabuluos Monogram Wedding Invitations by Alamode Bride. For other great wedding invitation trends check out The Knot. or the wedding paper divas.